Manufacturing is booming in the United States, yet there is one major concern holding companies back from growing to their full potential—filling the manufacturing workforce with new talent. A great way for manufacturing companies to gain community recognition and recruit strong candidates is by participating in Manufacturing Day. Manufacturing Day falls on October 5th this year. While October may seem light years away, now is the time to start planning your company’s event. Below learn why hosting a Manufacturing Day event is important for your shop to recruit the next generation of manufacturers and the three best-attended styles of Manufacturing Day events. 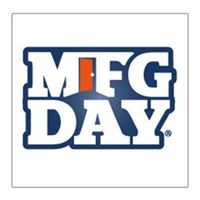 Manufacturing Day, established in 2012, is a national celebration of modern manufacturing. The national initiative brings manufacturers across the continental U.S. together in a collective effort to invite students, educators, media, and business people into their facilities to educate them on manufacturing careers and change the public’s perception of the manufacturing sector. Manufacturing Day has thousands of participants each year. The national celebration gives manufacturers the opportunity to promote their company on a larger scale. When manufacturing companies register their event on mfgday.com, the event gets added to the Manufacturing Day event map, where visitors to the website will see the event. Also, by registering the event, a landing page is created on the site to drive registration. 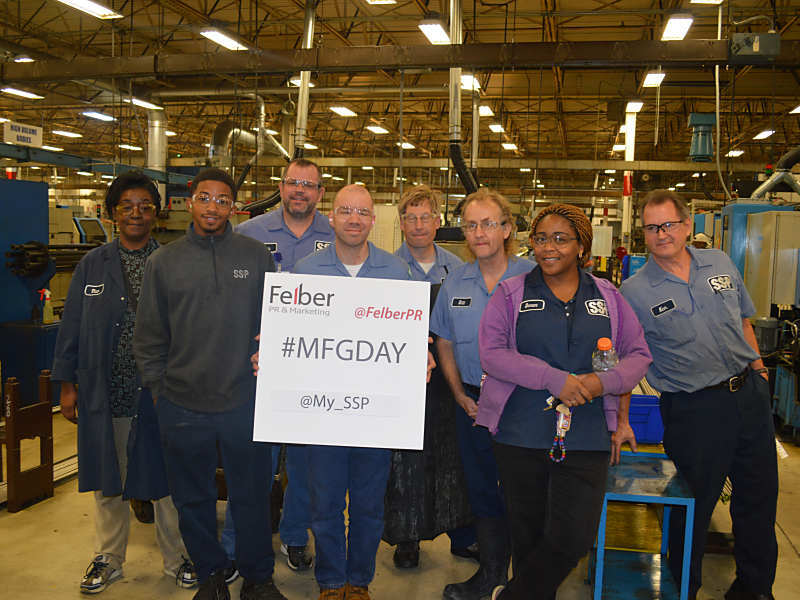 Participants on Manufacturing Day use the hashtag #MfgDay or #MfgDay18 to share their events and experiences. Joining the social media conversation allows manufacturers to connect with fellow manufacturers and also, build their social media following. 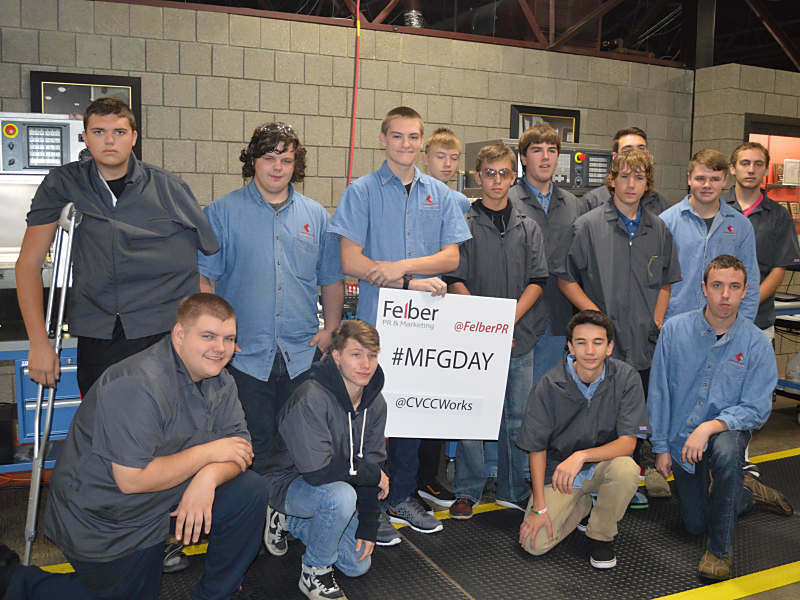 We’ve seen Manufacturing Day post get retweeted by dignitaries, local community leaders, and industry media! A common misconception among manufacturers is that they feel they cannot open their facilities to the public because sections of their facility that are “off-limits” due to confidentiality agreements with customers. This couldn’t be further from true. You don’t need to take visitors through every part of your facility. Seeing one facet of the shop, and learning about the product you make on one particular machine can be just as interesting to an attendee as a walk-through of the entire facility. Stumped Deciding What Kind of Manufacturing Day Event to Plan? We’ve Got You’ve Covered. The most straightforward way to participate in Manufacturing Day is by hosting a plant tour. Plant tours can be anything from an elaborate event with hands-on exhibits and structured activities, to a modest tour for students and select community members. It’s really up to your company to determine what style of plant tour is most suitable for your space and also, showcases your company culture best. If you are considering including educational institutions in your plant tour, now is the time to connect with school administrators to coordinate your Manufacturing Day event. Schools will be out of session in less than a month and school administrators will be in and out of the office throughout the summer. It is important to connect with schools as soon as possible since teachers are in the process of finalizing their 2018-2019 school year plans. Job fairs are a great platform to recruit the next generation of manufacturers. Often job fairs are held at a manufacturer’s facility, however, if you are looking to get a larger pool of candidates, partnering with other manufacturing companies, or a staffing firm is a great way to drive more traffic to your event. We suggest reaching out to the strong connections your company has made through manufacturing associations or networking groups like Wire-Net to see if you can collaborate. Manufacturing expos are a fantastic way to create a Manufacturing Day hot spot in your community. Is your company in an industrial parkway with other manufacturers? Why not pull together and share resources to offer back-to-back plant tours at each of your facilities. This is a great way for manufacturing companies to expose visitors to a range of different industries and work environments.